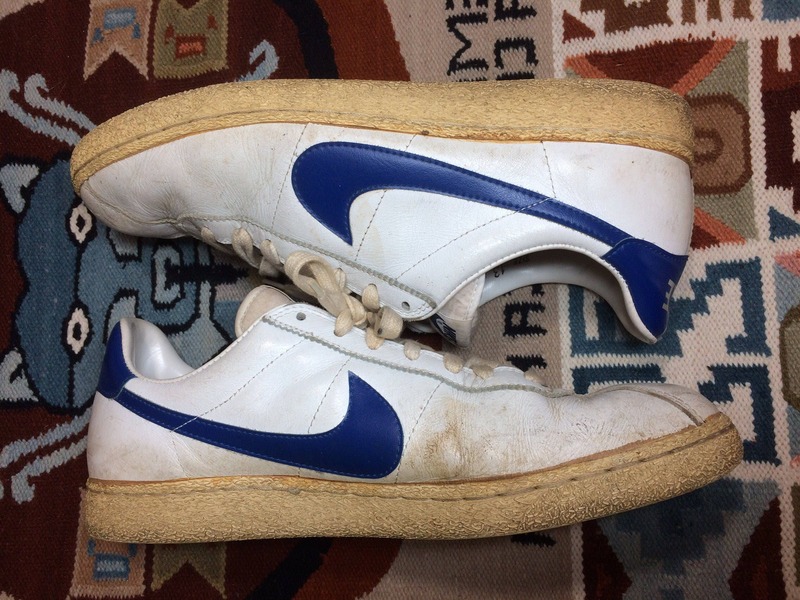 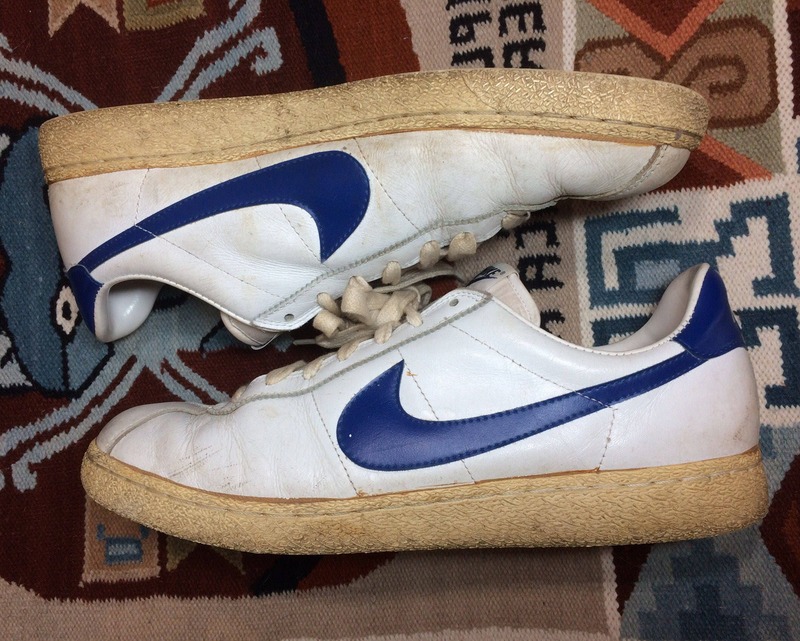 Here's a pair of leather Nike Bruins from 1982. 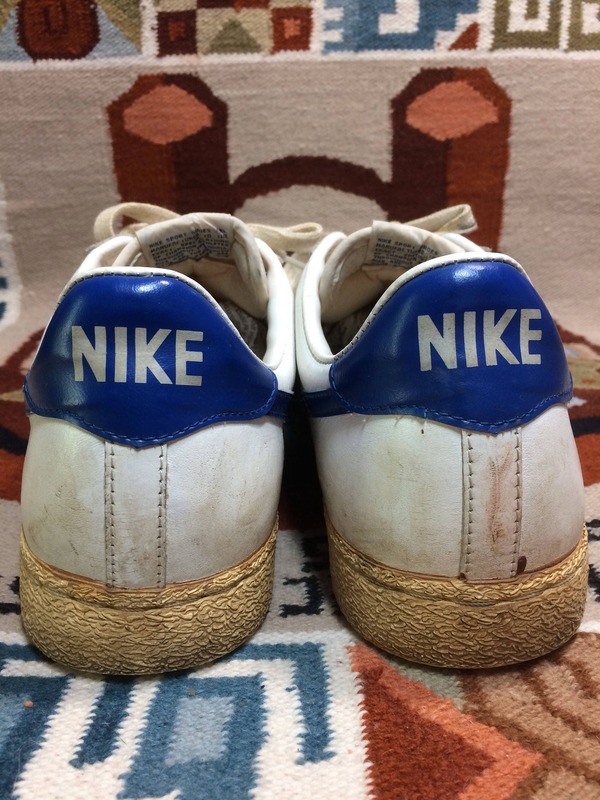 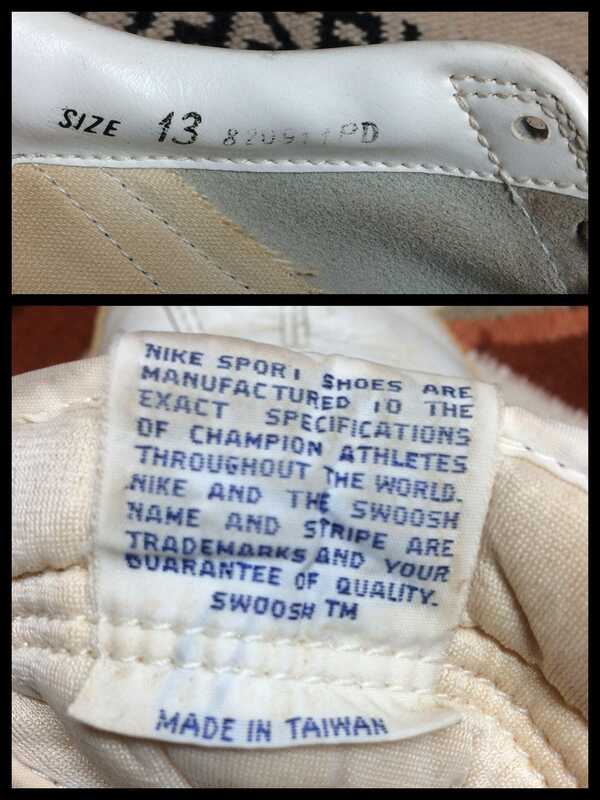 There's some yellowing, spots, dirt and scuffs, see photos. 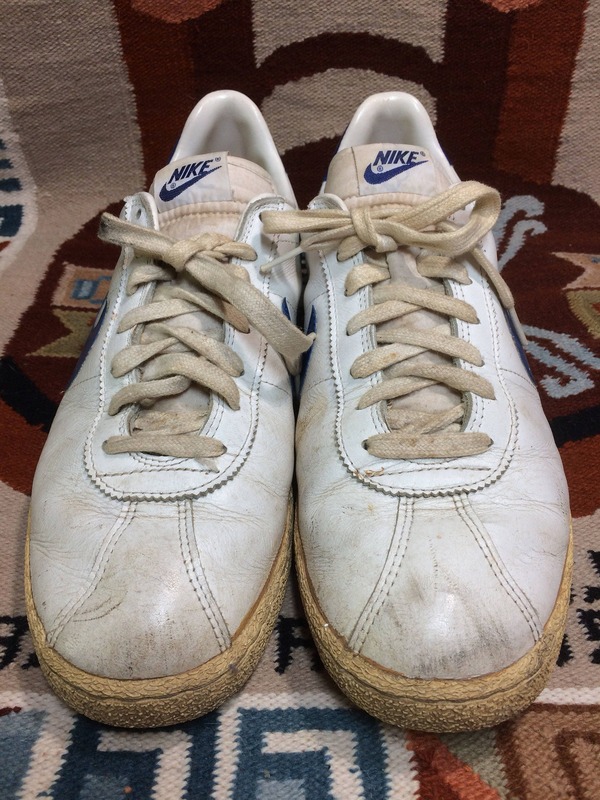 Otherwise they're in excellent, used condition.